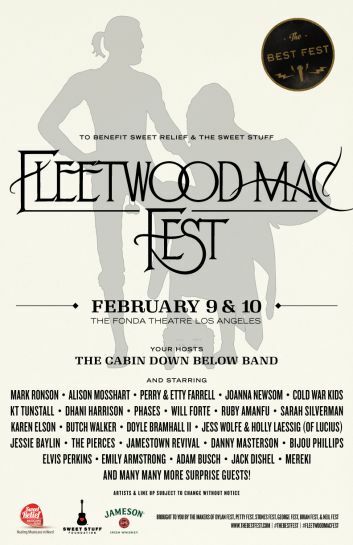 The Best Fest will continue its 15-year tradition of bringing rock-and-roll to fans for charity with their latest event, the Fleetwood Mac Fest, on February 9 and 10 at the Fonda Theatre in Los Angeles. 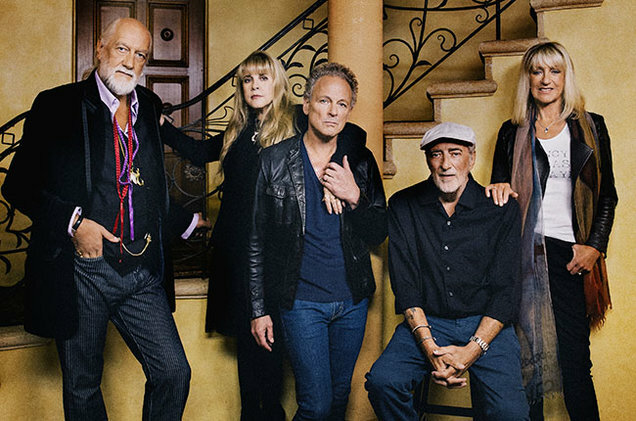 The event will celebrate 40 years of Mick Fleetwood, Stevie Nicks, Lindsey Buckingham and John and Christine McVie as Fleetwood Mac with renowned artists performing their hit tunes. The eclectic bill includes Mark Ronson, Alison Mosshart of the Kills and The Dead Weather, Perry Farrell of Jane’s Addiction, Joanna Newsom, Cold War Kids, KT Tunstall, Dhani Harrison, PHASES, Will Forte, Ruby Amanfu, Sarah Silverman, Karen Elson, Butch Walker and more, as well as the Cabin Down Below house band and a few unannounced special guests. “We have some major surprises up our sleeves,” said Austin Scaggs, co-founder of Best Fest. The Best Fest began in New York celebrating the accomplishments of musicians such as Bob Dylan, Tom Petty and the Rolling Stones. In September 2012, ticket sale proceeds began to go to charity and allowed The Best Fest to expand around the country. This year’s proceeds will be donated to Sweet Relief Musicians Fund and The Sweet Stuff Foundation. Sweet Relief has been serving the musician community since 1994 and provides financial assistance to musicians who have suffered from disabilities, illness and injuries. Musicians of every genre have benefited from the fund. The Sweet Stuff Foundation has worked since 2013 to assist musicians with medical expenses not covered by insurance as well as help finance children’s music lessons and instruments. The Best Fest has celebrated other artists over the years to benefit notable charities that serve musicians. Previous Best Fests include Neil Fest, Dylan Fest, Stones Fest and Petty Fest. Tickets to Fleetwood Mac Fest are available here.